Living in 2016, everyone and their mother has heard of Instagram- or at least most mothers. It’s the perfect platform for people all over the world to connect with one another through photos and videos, and how the app looks is a huge part of it. Recently, the company has been trying to steer clear of portraying the app as photo-based. Instagram is looking to be known as a social media app, not a photo one, hence the change in icon. When I heard this, I laughed. To me and many of my friends, Instagram is the top social media app. For my generation, it surpasses Twitter and Facebook. I didn’t understand why they were trying to do this, as it’s already a form of social media. As most know, the old icon for the app was a clear depiction of a Polaroid camera (on the left). A few days ago, the app updated and now is a white outline of a camera with a yellow, pink, purple and blue background (on the right). As hugely famous and successful Instagram is, wouldn’t you think they’d have the resources to make a logo that is much more involved, creative, and relevant to the app? Even I could make a better-looking icon than that. The previous icon was much more focused on the app itself. I saw something online where someone compared the new icon to a PowerPoint slide background- that’s how uncreative Instagram was when making this icon. What are your opinions on the new icon? Are you all for the bright choice, or are you annoyed at how basic it is? The latter is how the internet is feeling right now- no one appreciates the new logo. 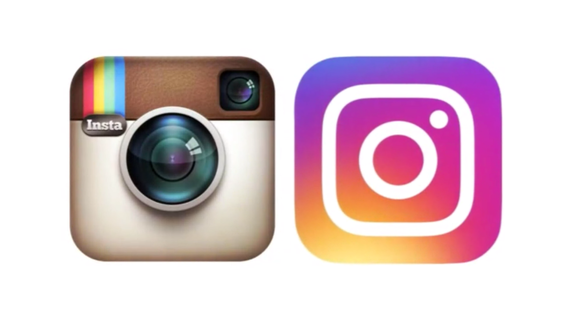 So Instagram, as a website and app, why did you choose a logo that has upset the entire online world? Want to see more of these posts? Visit Gabriella’s blog here.